Between the Mayan sites, the Aztec pyramids and the beautiful beaches, Mexico reconcile holidays, adventures and culture. Book now your airline ticket for a trip to Mexico to get to know this Exceptional country. The cradle of Mayan civilization, Mexico has many vestiges of the Mayan people. Chitchen Itza is one of the most important Mayan sites. It houses the pyramid El Castillo dedicated to the god feathered snakes. Another must-see Mayan site, Tulum favors an advantageous geographical situation because it is located on the edge of a dream beach. A few steps away there are impressive Mayan ruins. In the Peninsula of Yucatan, natural wells of strange form punctuate the landscape. These are the famous cenotes. It is the ideal place to go diving for the most brave. You can also swim there. The historic center of Mexico City, a UNESCO World Heritage Site, is located on the square of an ancient Aztec city. 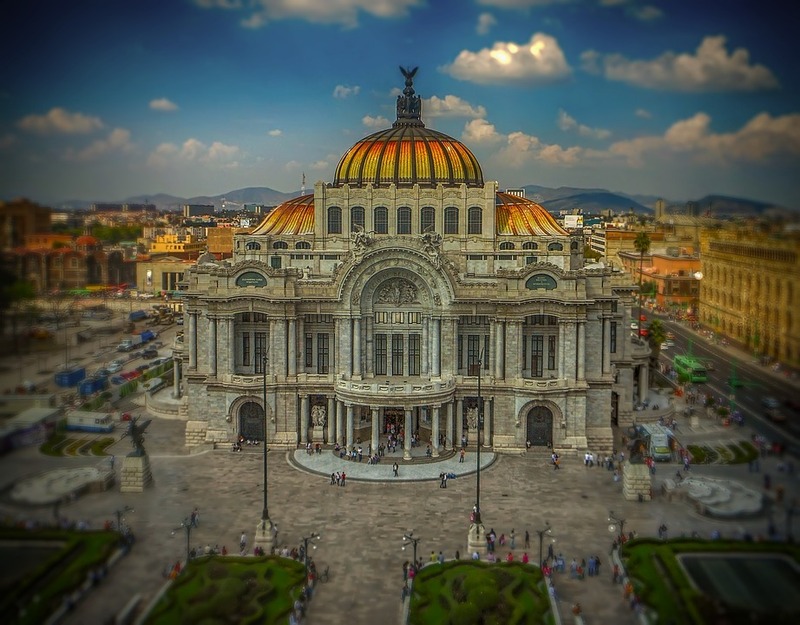 It is full of several sites such as the Metropolitan Cathedral of Mexico, the Palau presidential or the Palacio Bellas Artes. Mexico is also full of historical and religious sites and monuments. This is the case of the metropolitan cathedral of Mexico, recognizable by its imposing appearance in the Plaza de la Constitución. A true architectural feat, the baroque and neoclassical building is worth a visit. Book a flight to Mexico City for a beautiful holiday in Mexico City. The presence of several upscale tourist infrastructures makes it an excellent holiday destination. To find the cheapest flight to Acapulco, you can create an alert on Algofly. Nicknamed white city, Merida is a small town with unique charm located in Yucatan. Admire the well-kept houses and the famous bullring. Bordering the Pacific Ocean, Puerto Vallarta is also a renowned holiday destination in Mexico. In recent years, it has become one of the favorite destinations of homosexuals. It has many sites to visit, including the church, beaches with restaurants, etc. Change of scenery in Isla Espiritu Santo, where you can meet the beautiful sea creatures during a snorkelling session: fish, rays, seals, dolphins, etc. You can also kayak on this transparent water. To end your stay in Mexico in beauty, go to Xel-Ha Park in Cancub where you can attend incredible aquatic shows. And experimenting with unusual activities.